Regular checking of SF6 gas insulated substations allows fault preventative maintenance programs to be implemented, and increases the life cycle of the SF6. The Transdox 3100C is the latest high precision gas analyzer designed for controlling and monitoring the quality of SF6 in gas insulated sub-stations and circuit breakers. Three different models of the analyzer (CA, CB and CC) not only measures the SF6 purity over the full range, but depending on model also measures the H2O content of the SF6 which is essential when monitoring the dielectric strength of the gas, together with the decomposition gas SO2 and HF. 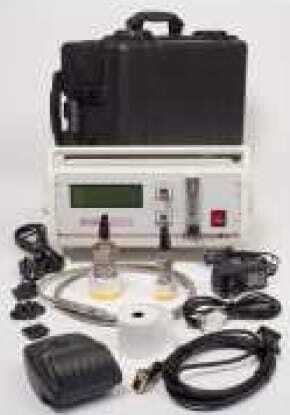 The analyzer simultaneously measures SF6, SO2, HF and H2O. Using an infra-red SF6 detector, the analyzer offers exceptional accuracy and stability when measuring the purity of SF6. The decomposition products of SF6 can be identified by analyzing the HF and/or SO2 content of the gas; this forms from the breakdown of SOF2 and SOF4 after an electrical discharge. 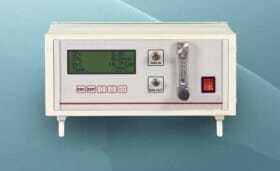 The analyzer incorporates two electrochemical, SO2 and HF sensors to measure ppm levels. The dew-point of the gas (in ppmV or °C) is an important parameter to measure as this has an effect on the dielectric properties of SF6. The Transdox is fitted with a special high-speed dew-point sensor fitted with a system allowing stable measurements in less than three minutes. All gases are analyzed and data-logged simultaneously and just a few minutes are required to get a stable reading. The Transdox has both on-board and software-based data-logging for full flexibility. The analyzer has a gas output nozzle allowing all sampled gas to be recovered and recycled, ensuring that no SF6 gas is released into the atmosphere (in accordance with the Kyoto agreement). The analyzer can be supplied as a bench style instrument or a full kit in a transport suitcase, with a range of DILO compatible sampling hoses, couplings and a printer. 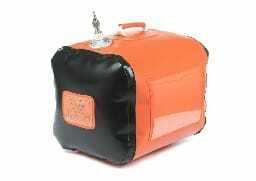 Low-cost SF6 gas recovery bags are available to ensure no gas escapes into the atmosphere when using the Transdox. 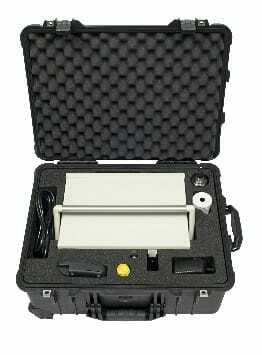 * Minimum accurate reading possible with this sensor is -60°Cdp. Sensor will respond from wet to dry in approximately three minutes.